Where is Europe going with its grids? The EU has adopted a 10% electricity interconnection target that all member states have to meet by 2020. However, experts question this one-size-fits-all approach. They do agree that new investment in power grids is crucial – but not which type should get priority: interconnection, transmission, distribution, “smart” or even microgrid. A new French report shows that most investment is actually going to gas grids where it may be less needed. Another bone of contention is at which political level investment decisions should be made. The EU is creating more and more “regional” (i.e. supranational but not EU-wide) platforms. An up-to-date report on one of the hottest topics in European energy policy by Sonja van Renssen (with a summary at the end). On 25 February, as part of its Energy Union for Europe package, the European Commission issued a progress report on “Making Europe’s electricity grid fit for 2020”. What this comes down to, as far as the Commission is concerned, is spelled out in the paper’s second heading: achieving a 10% electricity interconnection target. This target was originally agreed to by Member States at a European Council in Barcelona in 2002. It was conceived by the Commission back then as a necessary minimum to end the electricity isolation of some member states and boost competition (to bring down prices). Today it has become an essential part of the energy transition to a low-carbon economy. Grids are on the agenda in a big way in Europe. The build-out and upgrade of both gas and electricity grids is being hailed by EU policymakers as an indispensable investment for energy security, more competitive prices and sustainability (mainly because electrical grid expansion will allow more renewables to be absorbed by the system). “There cannot be an increase in renewables without an increase in interconnections,” EU climate and energy Commissioner Miguel Arias Cañete said at the European Parliament in March. “Smart grids could be Europe’s shale [gas],” said Maroš Šefčovič, the Commission’s Vice-President for Energy Union, at a EUFORES inter-parliamentary meeting on renewables and energy efficiency in Vienna, Austria, on 13 March. He has made the same statement several times since in Brussels. When it comes to the electricity grid, most of the political attention in Brussels so far has centred on the 10% interconnection goal. This means that each Member State must have interconnection capacity that is equal to at least a tenth of its installed electricity production capacity. Does this target make sense? The Commission has not been able to point Energy Post to any impact assessment to back it up, nor does there appear to be an impact assessment for the new 15% follow-up target for 2030, agreed by heads of state and government last October. Commission spokesperson Anna-Kaisa Itkonen explains to Energy Post that ahead of opting for the 15% target, officials did study different ways of measuring interconnection capacity, including based on installed capacity (such as the 10% target), demand, and price differentials between countries. Since the different methodologies yielded similar results on which countries are lagging behind however, for 2030 the Commission simply opted for what seemed easiest – an increase of the 10% target. The 15% interconnection target is in line with the expectations of the European Network of Transmission System Operators (TSOs) for electricity (ENTSO-E), Itkonen stresses. PCIs are energy infrastructure projects with a special European label because their primary value is to Europe rather than one single country. The PCI concept was introduced by a 2013 EU infrastructure regulation that granted such projects faster permitting procedures and the chance to apply for EU funds. The Commission drew up a list of 248 PCIs in 2013. It is due to adopt an updated list this autumn. Most of the projects involve gas and electricity transmission lines, but the list also includes electricity storage, underground gas storage, LNG terminals and smart grids projects. ENTSO-E recommends the adoption of differentiated targets by country, based on its TYNDP. The Commission’s only nod in this direction so far is an acknowledgement in its grids paper that the differences between Member States in terms of geography and energy mix suggest a “case-by-case approach” as well as a blanket target. Setting targets is one thing, meeting them another. What chance is there of Europe meeting the 10% target? It was, let’s not forget originally supposed to be met by 2005. In its February paper on grids, the Commission paints an optimistic picture: only Spain, Cyprus and Romania will miss the 10% target in 2020 (and Romania will be at over 9% interconnection capacity so doesn’t really count). Compare that to today’s situation where nine member states remain below the target: Ireland and the UK; Portugal and Spain; Italy; Poland; Romania; and Cyprus and Malta. The last two have zero interconnection capacity. There is an enormous “if” to this projection however: it will only happen if currently foreseen grid development projects – in particular PCIs – are completed. Three-quarters of PCIs from the first list are supposed to be completed by 2020. Today however, “many [projects] are still in the early phases of preparation”, the Commission admits. ENTSO-E is due to publish a monitoring report on projects in its 2014 TYNDP in early summer. Its reporting on the 2012 TYNDP however, showed a roughly 50:50 split between projects that were cancelled (5%), rescheduled (12%) or delayed (32%) vs. on-time (37%), operational (11%) or early (3%). Taking rescheduled and delayed projects together, well over a third of all investments were late (see p.99 TYNDP 2014; the figures include all TYNDP projects i.e. interconnectors but also other projects such as reinforcing capacities of existing lines). “Public acceptance and delays to permitting are the major impediment, which in turn can result in financing issues,” says Staschus. “Populations are not used to grid building. In the last decades not much was needed.” Today the build-out of the electrical grid is essential, says Staschus, first and foremost to allow renewables to expand at optimal cost. As people come to understand and accept the energy transition, they will come to understand and accept the need for grid investment, he hopes. Itkonen from the Commission says that all Member States have now officially implemented a one-stop-shop for faster PCI permitting that should limit the process to three-and-a-half years – vs. today’s average of 10-13 years – as required by the 2013 infrastructure regulation. ENTSO-E expects its next monitoring report to show the first effects of this regulation, mainly by unlocking projects that have been stalled for years. More generally, ENTSO-E points out that the 10% target will become more, not less feasible as renewables investment in particular drives total installed capacity and therefore swells the denominator of the 10% target. Nevertheless, obstacles remain. A good summary of the main ones – and suggestions on what to do about them – was recently published in a report on grids prepared for French President Francois Hollande by Michel Derdevet, General Secretary and Board Member of ERDF, the Distribution System Operator (DSO) in France, in a personal capacity (i.e. not on behalf of the company; he was mandated by Hollande to prepare the report in his capacity as an expert). President Hollande writes in the preface that Derdevet’s task is to “estimate the needs for strengthening and developing European energy infrastructure up to 2030”. He believes energy networks can give “new impetus” to European energy policy and provide “avenues for strengthening economic and industrial cooperation”. But one of Derdevet’s main finds is that the EU is not putting its money where its mouth is. The Commission estimates that some €200 billion are needed to upgrade grids to 2020, of which €105 billion for electricity grids and €35 billion of that for PCI interconnectors. Yet the Connecting Europe Facility (CEF), which makes €5.35 billion available for PCIs from 2014-20, represents only 3% of the investment needed. Early experiences of innovative financial instruments such as project bonds do not reassure and the Juncker investment plan depends on a – for some unrealistic – leveraging factor of 15. It is questionable whether the EU really is prioritising grids, and within that, the right kinds of grids. Most of the EU’s money for the first PCI list went to gas, not electricity infrastructure (16 projects worth €392 million vs. 18 worth €255 million), although the regulation establishing the CEF called for priority to electricity projects. “The priority given for the moment to the gas networks stems from dealing with economic and political urgency,” Derdevet explains. “[But] an important risk exists: that the gas pipelines financed by the CEF will be abandoned.” Gas consumption could fall by 25% by 2030, the French expert notes, citing the Commission. He concludes: “Since the place of gas in the future European energy mix deserves to be better defined, investment in the gas sector should meanwhile concentrate on optimising the use of existing infrastructure and on the development of R&D.” Europe’s 22 LNG re-gasification terminals are only used at a quarter of their capacity, for example. Derdevet argues that in the long term, the energy transition favours more investment in the electrical grid. And not just in the high-voltage transmission grid, but especially in low-voltage distribution networks – the physical location of the energy transition. Distribution grids need several tens of billions of Euros per year in investments (and that’s before smart meters and electric vehicles), they may require a change from consumption to subscription-based tariffs, and they will be a hotbed for innovation – also on the demand side. Yet there are very few distribution-level – or “smart grid” – PCIs. EU policymakers have yet to get to grips with this network. Expect some fresh ideas from the Commission in June, in new policy papers on self-consumption, prosumers and retail market design. Many of Derdevet’s 12 recommendations going forward centre on the idea of better coordination and cooperation – between Member States, between TSOs, between DSOs, between TSOs and DSOs, and between the “pioneers of local energy governance” (i.e. cities and regions), on issues including regulations and incentives, R&D, security of supply, compensation for territories negatively affected by infrastructure build-out, energy data and electromobility corridors. The Commission’s Energy Union proposals envisage a similar bringing together of key issues and players. EU policymakers foresee in particular a bigger role for supranational regional platforms and an integration of grid decisions with other energy decisions. The point is to identify regional priorities and act on them. In its Energy Union strategy, the Commission promises to develop “guidance” on regional cooperation and engage actively in regional cooperation bodies with Member States and stakeholders. In its 25 February paper on grids, it says that regional cooperation must be “brought to a higher level to tackle broader policy priorities that go beyond project specific issues… related e.g. to the need to find innovative technological solutions [and] to bring the planning of the grid closer together with the planning of generation”. The regional cooperation bodies that the Commission is talking about include the Baltic Energy Market Interconnection Plan (BEMIP), a collaboration between member states to better integrate the region’s energy markets with one another and other parts of Europe. Infrastructure projects, both in electricity and gas, have been a dominant element of this collaboration. But now BEMIP is starting to discuss issues such as renewables, fossil fuel subsidies and gas contracts, said Latvia’s acting State Secretary for Energy (Latvia’s top civil servant for energy) Jurijs Spiridonovs on the fringes of a renewables conference in Brussels in March. Platforms such as BEMIP could help with governance in the context of the 2030 climate and energy goals, he suggested. The Commission expects BEMIP’s member countries to produce a new Memorandum of Understanding under the Latvian EU presidency, focused on outstanding challenges such as synchronous connection to Europe (Lithuania, Latvia and Estonia remain in phase with the Russian, rather than European electricity system, which means they are physically disconnected from the European market). ENTSO-E meanwhile is busy improving its method for calculating generation adequacy – best analysed at regional level – and will soon be able to quantify flexibility needs, Staschus says. Beyond BEMIP, the Commission intends to stimulate cooperation in the Iberian Peninsula, North Sea, and Central and Southeast Europe. It is creating a new high level group for the Iberian Peninsula to build on a common interconnection strategy signed by the TSOs of Spain, Portugal and France earlier this year. In the 4 March Madrid declaration, the governments of Spain, France and Portugal agree to the launch of this high-level group that will facilitate (gas and electricity) interconnector development in the region. A similar high-level group was already launched for Central and Southeast Europe earlier this year, on the back of the South Stream gas pipeline collapse. It met for the first time on 9 February. Its initial focus appears to be gas, but in its 25 February grids paper, the Commission says this region’s electricity market too needs to be better interconnected and modernised “also to enable tapping into the important renewable potential… [which] is even more important at a time when the region is confronted with an especially difficult situation in gas”. The Commission wants member states in a North Sea regional group to draw up a plan for action too. Offshore wind companies wrote to EU energy ministers ahead of their informal meeting in Riga, Latvia, last week calling for a shared North Sea electricity strategy and investment platform. The North Sea Offshore Grid (NSOG) group meets this Thursday in Brussels. The next big event to look out for is a new “Energy Infrastructure Forum”, announced by the Commission in its Energy Union strategy, that it intends to organise for the first time in “late 2015”. Here the Commission will take stock of progress on the regional and European front. Meanwhile, the European Parliament is set to draft an own-initiative report on electricity interconnectors and the 10% target, led by Green MEP peter Eriksson from Sweden. The role of regional cooperation bodies and financing are two issues it will certainly address, according to the Greens. This is a follow-up to the interview Sonja van Renssen had last week with André Merlin, one of the foremost electricity grid experts in Europe. Why are grids becoming so important? -The continuing integration of national energy markets into a truly European market requires greater interconnection capacity (in both electricity and gas). 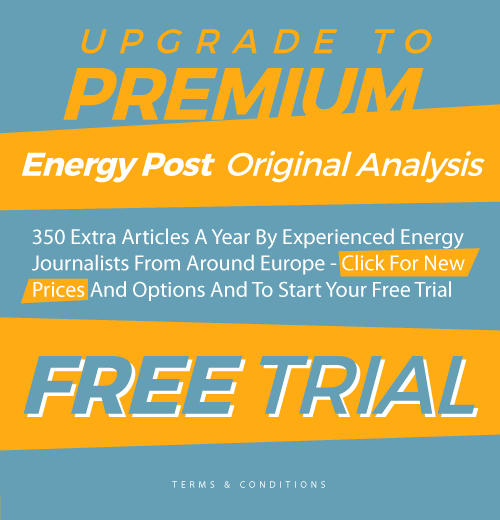 -Cost-effective integration of increasing amounts of renewables requires better electricity interconnections, many experts argue. -At the same time, there is a trend towards local, decentralised power generation, which requires investment in local distribution grids (and even micro-grids) rather than national transmission grids. It could even lead to less grid use. -The increasing use of demand response options – enabling people to be more efficient in their energy use – necessitates “smart” grids (and smart meters). -The expected growth of electric transport will require large investment in grid infrastructure. What are the key issues to be resolved? -Should priority be given to investment in transmission and interconnection grids? Or are local, distribution grids more important? 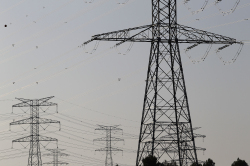 -How important is investment in “smart” grids? -Who decides on investment? Is this done at local, national or European level? Or are there other options – e.g. “regional” (supranational) decision-making bodies? -How will investment be financed? -What will be the role of gas in the future energy system and what does this imply for the gas grid? 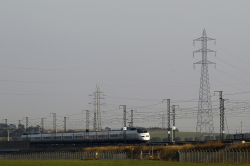 -The EU has adopted a 10% electricity interconnection target for 2020 and 15% for 2030, i.e. all member states must have interconnection with neighbouring states equal to 10% (15%) of national capacity. -ENTSO-E and ENTSO-G draw up biennial Ten-Year Network Development Plans (TYNDPs) which assess the development of electricity and gas infrastructure from a European perspective. -From the TYNDPs, the EU identifies Projects of Common Interest (PCI’s): energy infrastructure projects of European (rather than just national) importance. For these PCIs the European Commission has mandated member states to set up a “one-stop-shop” to speed up permitting procedures. These projects are also eligible to apply for EU funds from a dedicated financing facility – the Connecting Europe Facility (CEF). -The interconnection target is a one-size-fits-all-target; ENTSO-E notes that a case-by-case approach based on individual cost-benefit analyses may be preferable. -The CEF has €5.35 billion, which is 3% of the total investment needed, i.e. leaving a large financing gap. -So far most of the PCI investment is going to gas pipelines rather than electricity grids, whereas investment in electricity grids may be more essential to the energy transition. -PCIs largely neglect distribution grids or “smart” grids. -EU policymakers want to accord a bigger role to “regional” (i.e. supranational) platforms. They want decisions about grid investment to be taken increasingly at this regional level. -In addition, grid investment decisions should be more integrated with other energy decisions at regional level. -The question is how to organise such regional platforms. Grid expert André Merlin says in an interview with Energy Post that Europe needs to set up regional Independent System Operators like they have in the US. -Examples of existing and new regional initiatives are: BEMIP (Baltic Energy Market Interconnection Plan), the high-level group for the Iberian Peninsula, the North Sea Offshore Grid group, and a high-level group for Central and South East Europe. Thank you for this European overview, we do not get this from the national press(es). I do hope that in the next few years the Fraunhofer-type modelling of the German energy future will be extended to trans-European models so that non-experts like me can have some idea of how these interconnections really interact with renewable energy futures.